Overall objectives of module: 1) Narrar en un texto eventos importantes en el ámbito tecnológico que impactan la vida cotidiana a nivel socio-cultural 2) Intercambiar ideas sobre tipos de comunidades y actitudes hacia una sana convivencia. 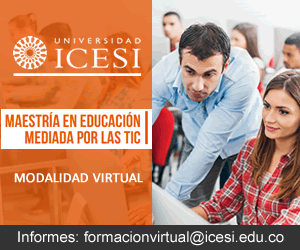 Specific objectives for this task: In pairs: 1) Students will design a survey to find out about aspects of a community of their interest within Icesi University. 2) Students will implement the survey through personal interaction with the target audience. 3) Students will consolidate and analyse the results and produce a poster to reveal their findings. 4) Students will pay special attention to their use of articles, quantifiers and verb tenses in their language production. Designing surveys - to contextualise students with the basic aspects of survey design. Local communities project - to establish the aim, the requirements, the instructions and the grading parameters of the project. Local communities project: poster creation - to guide students in the creation of their poster once they have implemented their survey. 1) Students are already familiar with several verb tenses. 2) Students refer to the presentation of Designing Surveys (in the materials section) before class. 3) Students read the project description (in the materials section) before class. Step 1 - Contextualisation Class discussion with the help of the project description (in materials) to contextualise the class-specific topic. Students are asked to write their doubts about the project on the board so that they practice question formation and all students can benefit from the explanation. Then, teacher proceeds to clarify the doubts question by question. Step 2 - Survey design Students are paired (voluntarily or through teacher discretion). They are asked to write an objective which addresses what they would like to find out about a community of their choice with the confines of the larger community of the university. Once their objective has been approved by the teacher, students proceed to write 15 questions to include in their survey. Teacher clarifies doubts about project scope and aims. Teacher facilitates the creation of the objective through a question and answer technique allowing students to think critically about their formulation. Teacher answers doubts about language use in question writing. Teacher engages students in critical thinking about their use of language in the creation of meaning and sense. Individually: Students formulate doubts about the project and listen to the teacher's explanation to the class. In pairs: Students formulate an objective for their survey through discussion and narrowing down of choices about the community of their interest. Students write 15 questions to include in their survey and clarify doubts with the teacher. For homework, students to apply the survey to the target audience (10 people) through personal interaction in English (where possible). Step 1 - Contextualisation Class discussion with the help of the document to guide their poster creation (in materials). Students explore different software tools to decide upon one for the creation of their poster. Step 2 - Creation In pairs, students create their poster as per the guidelines and submit it to the teacher at the end of the session. Teacher explains the basic aspects of the poster and draws students' attention to the scientific approach of research. Teacher clarifies doubts about language use in students' production (especially focusing on articles, quantifiers and verb tenses). This is done through critical questioning of students' use of language in negotiating meaning and sense. Teacher assesses the final product and provides feedback with the use of a rubric (in materials). In pairs: Students read the document to guide their poster creation. Students explore software tools and choose one for the creation of their poster. Students discuss and negotiate the content, visual aspects and the use of language in their creation. Students submit the finished product to the teacher for assessment. Assessment of the project is done with the rubric provided in the project description. The questions in the survey and the poster are both considered in the assessment.